Quartz or Granite chopping boards to your size requirement and colour. Whether you have Quartz or Granite worktops in your kitchen, maybe wood or laminate, chopping boards made in Quartz and Granite are not only stylish, but also very hygienic and extremely heat resistant. They are ideal for busy home cooks who need a safe area to put down hot pans without the worry of scorching or damaging the work surface. They are also perfect for home bakers who need a clean, cool surface for working on. 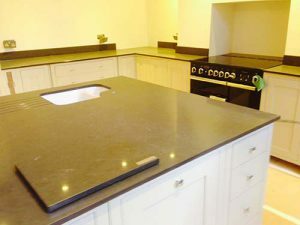 Whatever your need, at Cheshire Granite Worktops we can make a chopping board to your size requirement, and colour choice. Prices start from £35 + VAT. Call our office today on 01565 300065 to check availability or order your chopping board. If you require a bathroom vanity unit, or shelving to house a toilet/storage unit, we have many off-cuts in a variety of colours to suit your design scheme. We can supply only or template and fit at very competitive prices.